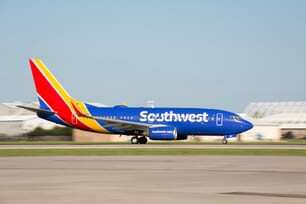 Many years ago I sat down next to a Southwest Airline baggage handler on a SWA flight from Phoenix to Los Angeles. I asked him when would SWA open up Honolulu (this was the days before 737s we approved for that route) so I could go somewhere fun with all my frequent flyer miles. I was kidding, of course, because back then SWA’s 737s might get to Hawaii if you rowed the last thousand miles or so. He didn’t understand my humor and proceeded to tell me for the entire flight all about SWA strategy: Only fly 737s to reduce manpower in maintenance and operations, how “peanuts only” policy (back in the day of peanuts on airplanes-I did mention this was a few years ago, right?) saves money on weight and fuel, how cattle-car boarding saves on the total number of planes needed. He went on and on for the entire 65-minute flight, pontificating all about SWA’s strategy. I was thoroughly impressed by this baggage handler! And even more impressed by SWA, because they were doing something right if even the baggage handlers knew where the company was going, understand what the strategy is, and are able to communicate that to some poor old geezer sitting next to them on a flight. In business, when you can get the frontline employees to understand where the company is going, and what is needed to get there…then the magic happens. I know a company of 7000 employees who spent over $3million just communicating strategy. In the next two years, they saved over $60 million with no special programs.